Book Ad in Times of India Delhi Newspaper at low charges. 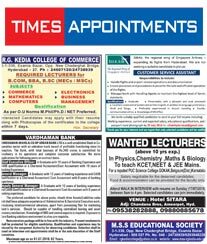 Choose Ad category from the below to view Times of India Ad Rates. 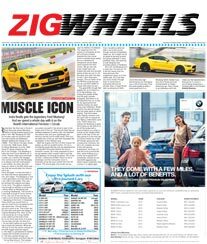 Times of India provides many advertising options for an advertiser to target large audience of Delhi City through its newspaper reach. The advertising tariff is designed differently for every category. 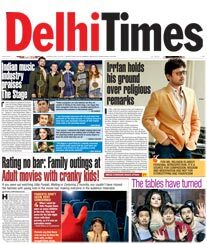 The Display advertising option in Delhi Times of India is mostly utilized by Retail Stores, Product Promotions, Advertising by companies of Service Industry, Exhibition & Discount Sale Advertisement. This category has an advantage of advertising on premium pages like Front Page, Back Page or Page 3 and even freedom of taking Full Page, Half Page or Quarter Page size Advertisements. 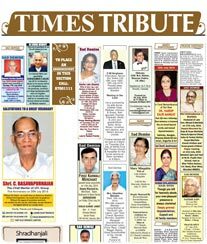 Times of India has offered a concessional tariff for personal advertising like Obituary, Remembrance, Greetings or Congratulations Ad especially for Delhi advertisers. The newspaper also offers economical advertising option in its Classifieds Section where you can advertise Matrimonial, Property, Rental, Vehicles or Name Change Advertisements at nominal price. 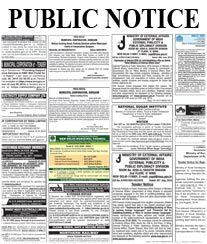 For Advertisers who wants to advertise Public Notice, Tender Notification or Companies Financial Result Ads there is a special tariff offered by Times of India newspaper for its Delhi Edition. 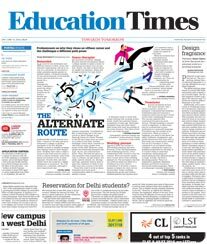 Educational Institutes can take advantage of targeting large audience of Delhi city by advertising Admission Notification information in Times of India Newspaper. 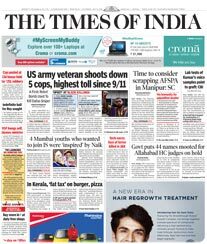 There is also a special tariff offered by Times of India for Government Advertisements. Firstly choose the Ad Category for which you wish to advertise in Times of India. 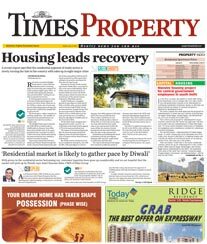 Now review the rates of selected category for Times of India Delhi Edition. The rates mentioned are in Rupees per square centimeter. The rate is calculated by multiplying the square centimeter rate with the size of ad you wish to advertise. For Example you want to advertise 8*10 cms ad then the cost would be 80 multiplied by the square centimeter rate mentioned in Times of India Delhi tariff card. Next is to structure the Ad content and send it to us along with all the selected details for a free quote. 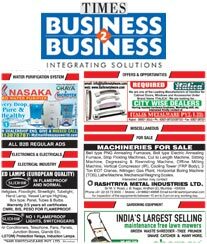 Upon receiving your details, we will get back to you with the cheapest quote and discount offers for your advertisement in Times of India. After gaining your consent on the quote we will send you the invoice with a variety of payment options. Once the payment is received, your ad shall be designed by our team of professionals as per your requisites and will be published on the due date in Times of India newspaper. 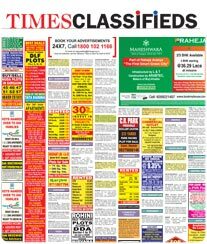 Now Times of India Classified Ads can be booked online instantly for the newspaper. Its easy to book Times of India Matrimonial Advertisement which are mostly booked for Sunday newspaper by advertisers who are for looking Bride or Groom for Marriage, Times of India Property Classified Ads are popular for Friday, Saturday and Sunday, Times of India Classifieds Rental are also given on Friday, Saturday and Sunday, Recruitment Ad in Times of India are mostly given on Wednesday because Times Ascent publishes on this day & Sunday, Name Change Ad in Times of India are accepted on all days, Times of India Obituary Ad in newspaper publishes on a specific page, TOI Personal Announcement Ad, Times of India Classifieds for Business, Lost Found Ad in Times of India, Vehicle Ad in Times of India to sell or buy automobiles, TOI Services Ad for offering services, Travel Advertisement in TOI for Travel business promotion. All this categories are published under Times Classified Section of the newspaper. So if you are look to give ad in Times Classifieds then select the appropriate category and book online at lowest rates. There are various booking centers. 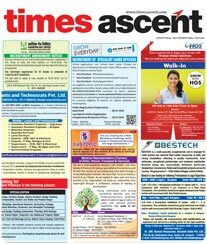 Book your ad for Times of India Advertisement Booking Centre Mumbai, Times of India Advertisement Booking Centre Delhi, Times of India Advertisement Booking Centre Kolkata, Times of India Advertisement Booking Centre Bangalore.